Gasworks or Gas Holders or Gasometers are large steel tanks which dot the skylines of several European towns. These large containers hold natural gas or town (coal) gas and were mostly built during the late 19th century or early 20th century to supply gas for public lighting and domestic cooking purposes. 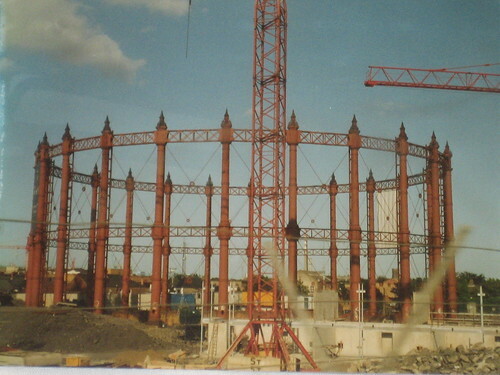 Several of these gas holders have become defunct and have been demolished. However exterior of few has been preserved and the space within converted to a more meaningful use. 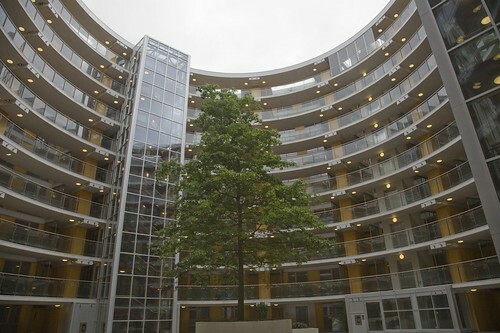 One such example is the conversion of 60 metres wide Dublin Gasworks into multi storied apartment building. 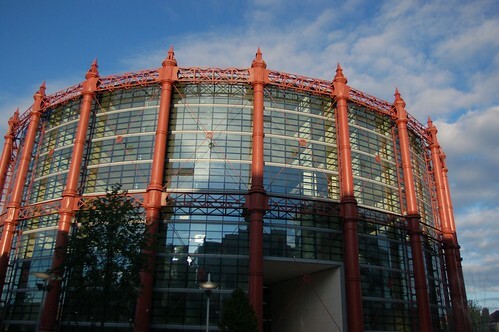 Completed in 2006-07 the building now known as The Alliance Building consists of over 200 bedroom apartments which have been built within the frame of the original gasholder. 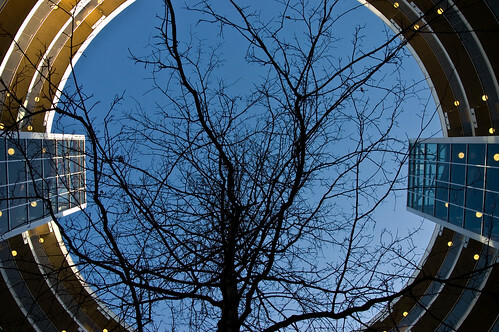 The work has been carried out by developer Liam Carroll under the designs of Architects O’Mahony Pike who has retained the original frame of 1885 and created a stunning nine-storey block of apartments using the circular shape to ensure that all of the apartments have two sided views. The main bedroom and living area are located on the outer perimeter, allowing for great views over the city. The entrance hall and ancillary areas overlook the inner courtyard. Similar structures [link] at Vienna were converted for mixed use into living (apartments in the top), working (offices in the middle floors) and entertainment/shopping (shopping malls in the ground floors). Ienterria - Thank you for the useful information and the links. The Gas holder (Gasometer) sure looks huge.